Whether the player chooses to race solo or against computer-assisted riders, he/she races against a certain time limit. The goal is to qualify for Excitebike (the championship) race by coming in at third place or above in the challenge race (preliminary race). The time to beat is located on the stadium walls (for first place) and in the lower left corner (for third place). In any race, the best time is 8 seconds ahead of third place. When the player places first, then they get a message: "It's a new record!" 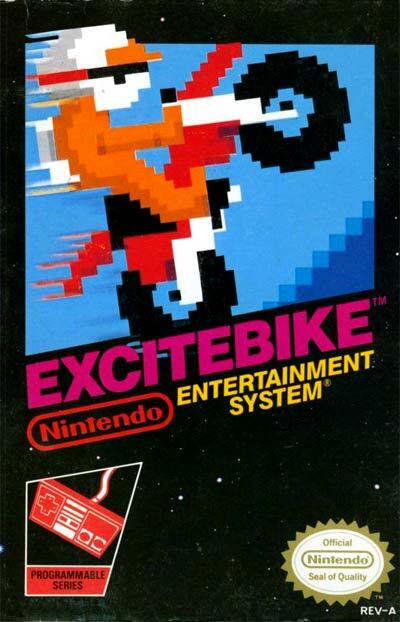 The player controls the position of the red motorcycle with the Y-axis of the directional pad, and controls acceleration with the A and B buttons Using B causes improved acceleration, but causes the motorcycle's temperature to increase as shown on a bar at the bottom of the screen. If the temperature exceeds safe limits (the bar becomes full), the player will be immobilized for several seconds while the bike cools down. If the bike goes over an arrow, it is automatically cooled down.